When my daugther turned 2 we threw a Strawberry Shortcake birthday party for her. She's was really into the old-school Strawbery shortcake stuff (thanks to a handful of books my mom kept from my childhood), so she thought it was tons of fun to have a giant poster and cake and the whole works. 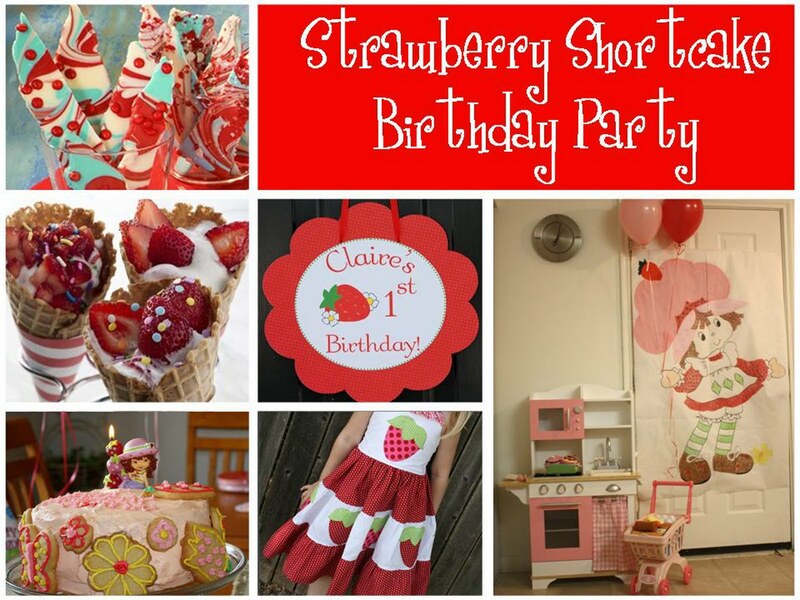 Here's some inspiration for your Strawberry Shortcake Party. It was a perfect party for our little girl. J'adore! Seriously, How have I not found your blog before!!! So glad I found I found you this week on the bloghop... Hoping you'll stop by and follow me back. I think every little girl adores Strawberry Shortcake – I know I did and so did my daughter when she was younger. There is something special about that Berry loving little girl decked out in her Strawberry Outfit.